Pam Longobardi, Line of Fire, 2017. 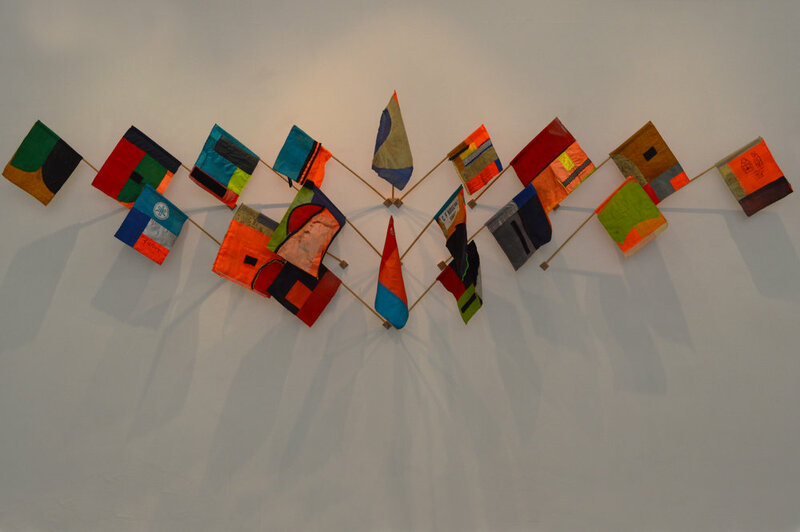 Pam Longobardi, Signal Flags, 2017. Diana Heise, The Sea We Make / Lamer Nous Fer, 2012-2016. Performance, HD single channel video installation, 51 minutes, 2 takeaways. Performance, 6 archival pigment prints. Click here to read Buzz Magazine's preview of Oceans: Surface/Below at Oriel Myrddin Gallery. 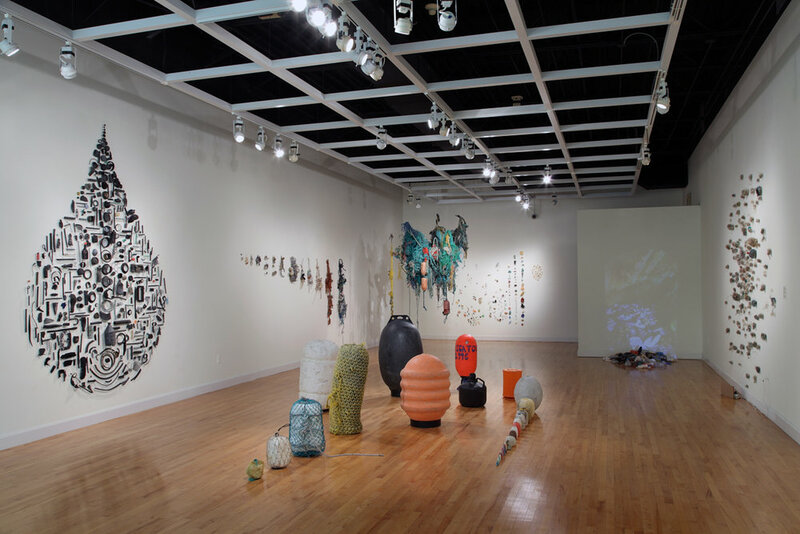 In Oceans: Surface/Below, US-based artists Pam Longobardi and Diana Heise employ environmental cartographies to consider the effects of plastic contamination, industrial fishing and habitat degradation within the world’s oceans. Together, these artists focus our attention upon environmental waters through the ethical responses that emerge from art. 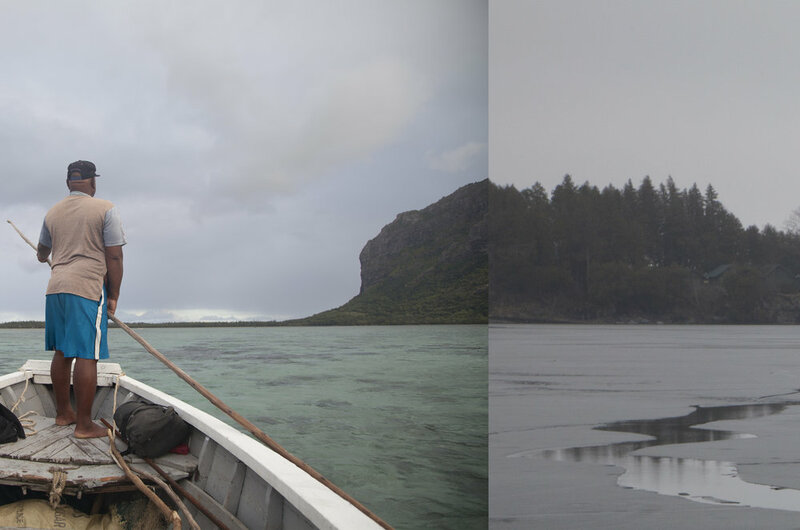 Diana Heise’s filmic and photographic work considers anthropogenic disturbances to coastal habitats and their impact upon artisanal fishing communities. 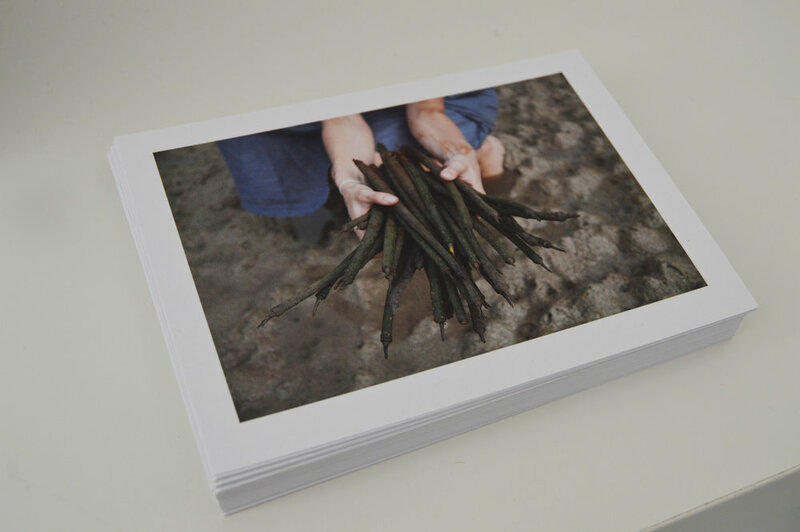 In Mauritius, Heise created a series of intimate lens based studies that examine the relationship between Creole fishing communities and a shoreline that is increasingly distressed by the effects of industrial fishing, pollution, coral acidification and the disappearance of mangroves, a vital ecology for coastal life. Like Longobardi, Heise employs activist strategies; recently, she initiated a letter writing campaign to US senators in order to address the decline of artisanal fishing communities in her native Vermont. Diana Heise, Seeded, 2016. Performance, 6 archival pigment prints. 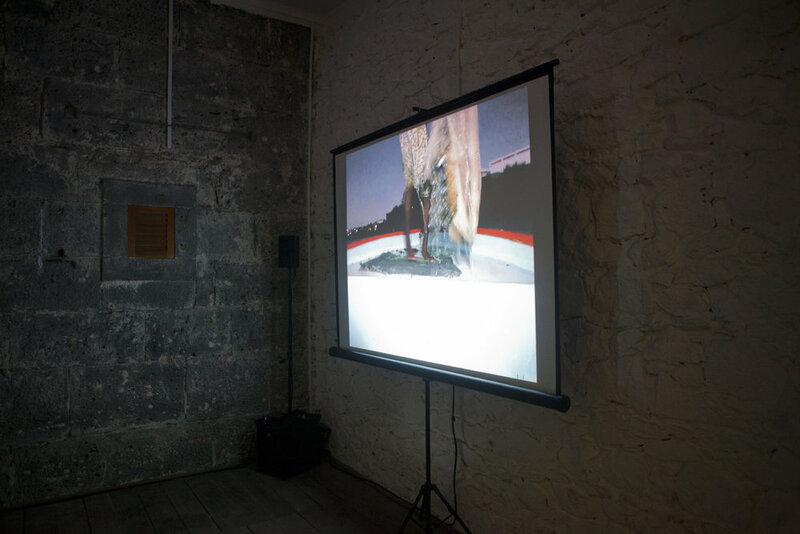 Diana Heise, Installation view, Edge Effects, La Citadelle, Mauritius, 2016. 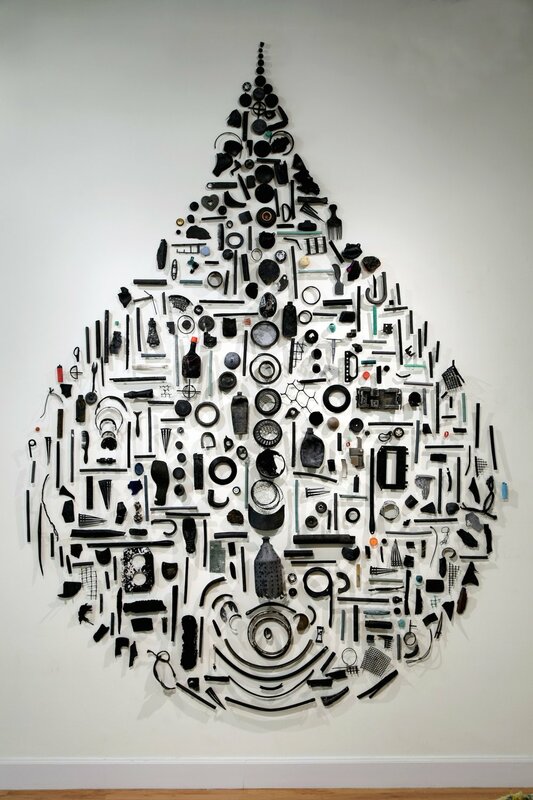 Pam Longobardi’s work investigates the ubiquity of plastic contamination within the world’s oceans. 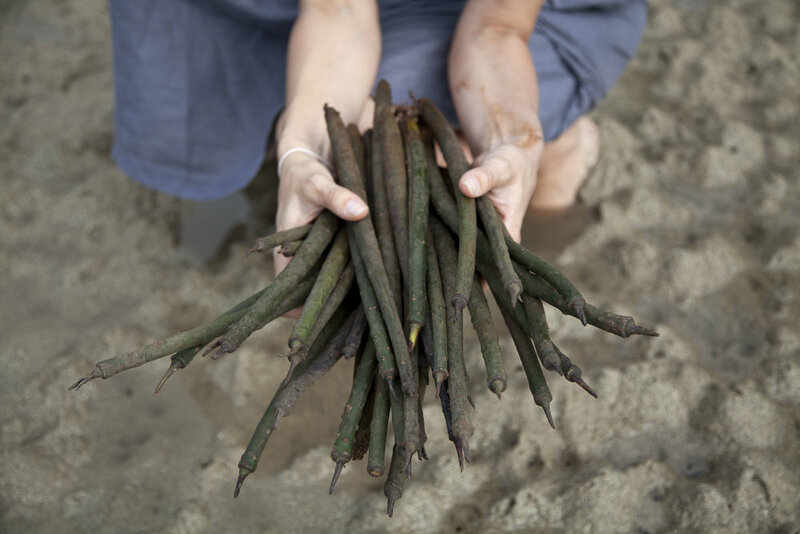 Longobardi initiates beach community clean-ups and international expeditions to identify and gather oceanic plastics that she recontextualizes in gallery spaces. 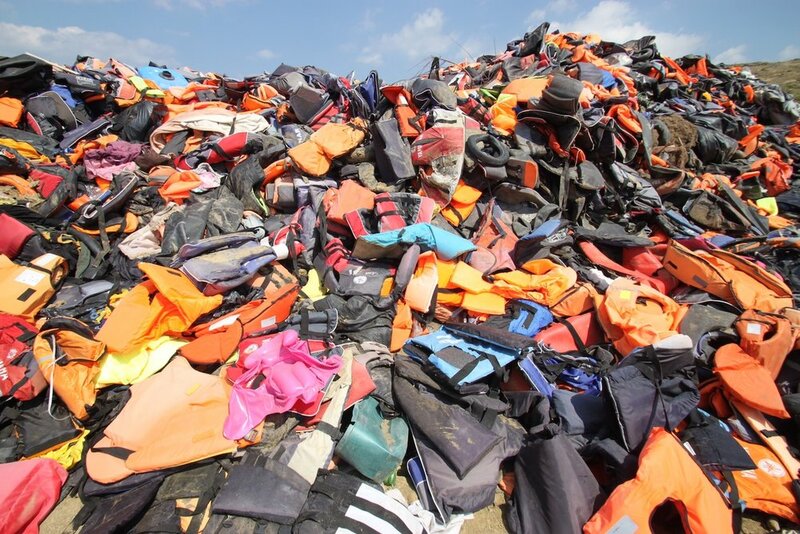 In exhibitions, she transforms these prosaic forms into compelling installations that query the effects global capitalism, specifically its cultures of discard and waste, upon the composition of aquatic life. Her installations bring attention to the mobility of plastic toxicity and remind viewers of their relational interactions with plastic and ocean life. Click here to view Longobardi’s forensic site photos of Llansteffan Beach.